What’s the deal with the low carb diet trend lately? Whether we’re trying to lose weight or improve our overall health, most of us have learned or been told that a low fat diet is the way to go. Dietary fat has become associated with the fat on our bodies, and it’s led to a lot of fat-phobia. We’ve become hyper-vigilant about our fat intake, choosing foods that advertise “low fat” on the label or tracking how many grams of fat that we eat. It makes sense—even the American Heart Association and the U.S. government recommend low fat diets for optimum health! Well, as it turns out, low fat diets aren’t the only way to live a healthy life. Low carb diets are another viable option that can help with weight loss and other health goals! You’ve probably heard about plenty of diets that are low carb, like the Atkins Diet, the South Beach Diet, and keto or a ketogenic diet. And, although low carb diets are trending right now, they’re far from a passing “fad.” Scientific research has shown that low carb diets can have some major health benefits—and that low fat diets actually may not be the healthiest choice for everyone. Really, no single diet or lifestyle is the “right” one for everyone. That’s why it’s so important to stay informed about the different options out there! We each have to find what works for us, and it takes a bit of experimenting. 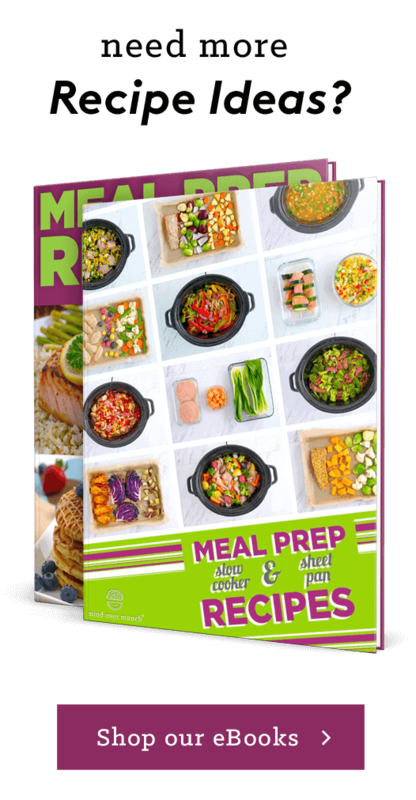 If you’re considering a low carb diet or you’re just curious about how a low carb diet works, this beginner’s guide is a great place to get started! 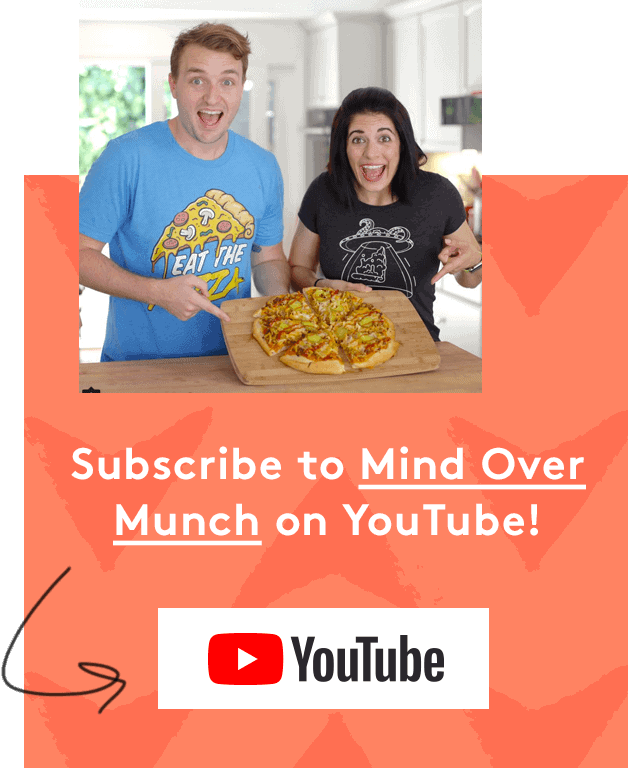 I’m breaking down the basics of a low carb diet, the benefits of low carb lifestyles, and what to eat on a low carb diet. A low carb diet is pretty much what it sounds like: a diet that’s low in carbohydrates. There’s no concrete limit for just how low in carbs it needs to be because that varies for different people and diets—some aim for 150g of carbs or less per day, some go as low as 20g of carbs per day, and some low carb diets focus on the glycemic load of foods rather than the carb count. Overall, low carb diets minimize carb intake, which then means getting a greater portion of calories from protein and/or fat. Whether it’s a low carb diet or a low fat diet, if we’re limiting one macronutrient, we’ve got to get more of our calories from the other two macronutrients. Clearly, carbohydrates make up the bulk of this eating pattern, which means fewer calories come from protein and fats. (A diet can’t be high in all macros, or low in all macros—that would likely mean you’re eating more food than you need, or too little food.) Within these ranges of the government’s “Healthy Eating Pattern,” there’s some wiggle room for a diet to be higher in protein and lower in fat, or vice versa. The same is true for low carb diets—some are higher in protein than fat, others are higher in fat than protein, but carb intake is lowest either way. So why are we talking about low carb diets, if the U.S. government recommends a low fat and higher carb diet for a healthy lifestyle? Because of fat-phobia in the medical field and the media, low carb diets (which generally involve eating more fat) have been demonized as dangerous to our health. Back in 1977, the U.S. government introduced this low fat diet recommendation, claiming it was the best way to reduce heart disease risk. Low fat diets were also considered the best way to lose weight, and many people still believe this today. But, recent analyses of the studies from that time period found something surprising: NO correlation was found between dietary fat, high cholesterol, and heart disease. There was actually no existing evidence to support the government’s low-fat recommendation at the time! As long as we’re eating wholesome, REAL foods, neither fat nor carbs are ‘bad’ for us. We may choose to eat these macronutrients in different amounts, but they each serve a purpose in our bodies. First, we’ve got to understand how carbohydrates function in our bodies. 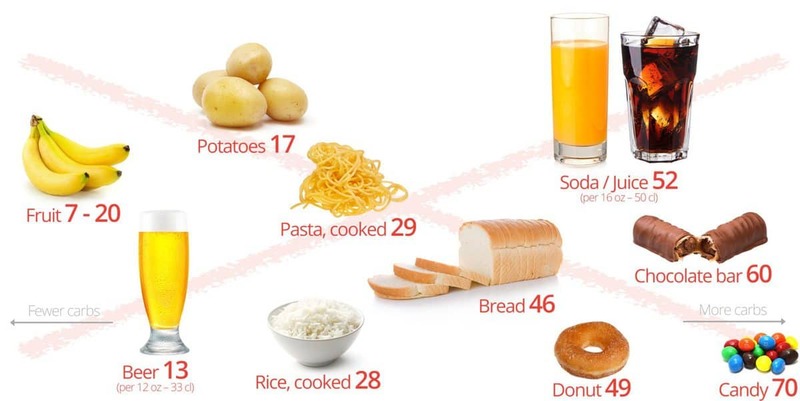 All carbs are made of sugars, which are absorbed into the blood stream as glucose. 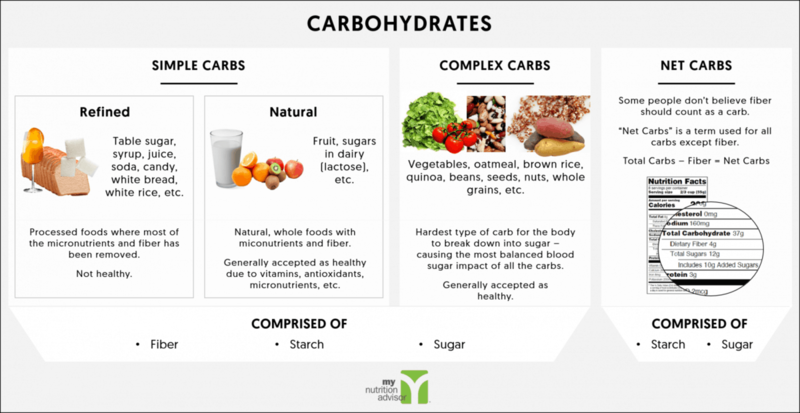 Currently, most people’s bodies use carbs as their main fuel source. And, all of us do need some glucose for our bodies and brains to function. That glucose raises our blood sugar levels, which triggers the release of insulin—a hormone that helps glucose enter the body’s cells. Then, insulin tells the body to use up that glucose immediately as energy (whether it’s for a workout or for basic functions like breathing). Or, if there’s any extra glucose, it gets stored as glycogen to be used as energy later. But, when the body is overloaded with more glucose than it can handle, our blood sugar spikes dramatically and creates toxic conditions in the body. We need that insulin to manage our blood sugar levels and keep us alive. If we have enough glucose for energy and our glycogen stores are full, then they body has to store that excess glucose as fat. Carbs can be a great source of fuel, but eating too many carbs—especially simple and refined carbs that are digested rapidly—can cause major blood sugar spikes. Table sugar is a simple refined carb, while white flour is a complex refined carb, but even complex refined carbs are digested quickly because there are fewer nutrients for the body to digest. Complex and natural carbs digest more slowly and release glucose into the system over time, so they’re less likely to cause major blood sugar spikes. 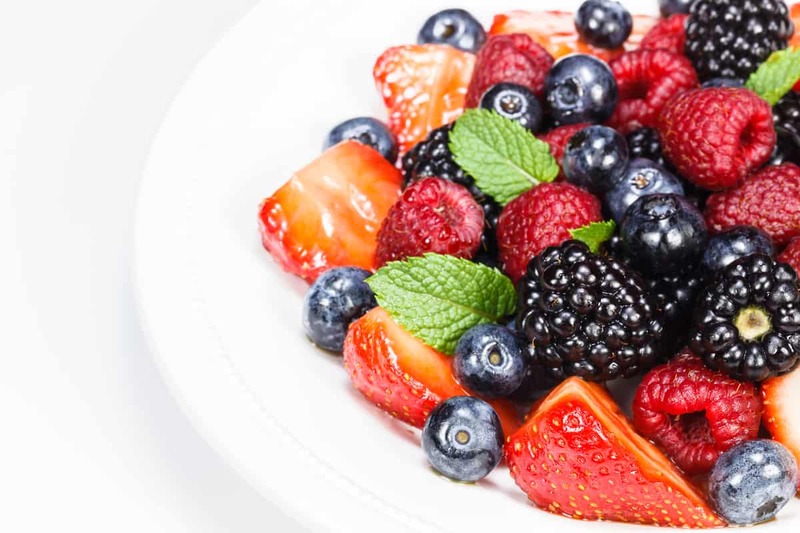 Even though fruit contains the simple natural carb fructose, while veggies and whole grains are complex natural carbs, all of these foods contain more fiber and nutrients that slow down the digestion process. When we lower our carb intake, there’s less glucose coming into our system. This means fewer and smaller spikes in blood sugar, which also lowers insulin in the body. With less glucose to use as energy and less insulin telling the body what to do with that glucose, the body can begin to burn stored fat for energy instead! 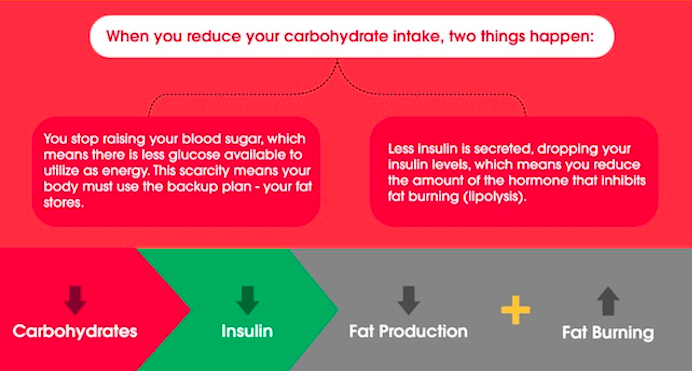 This is the basic mechanism behind a low carb diet that can lead to weight loss, reduced body fat, and some other perks. Have you ever felt really tired after a meal? Or, do you ever get hungry right after you just ate? This is because of our blood sugar dropping and the body’s insulin response—both of which can be minimized or eliminated on a low-carb diet! After a big spike in blood sugar, lots of insulin is released in order to bring our blood sugar level back down. When that happens, we start to feel tired and maybe a bit weak. Our blood sugar drops and we feel what most of us would call the “crash” after a sugar rush. But, once the insulin gets our blood sugar to start going down, it takes a bit longer for our insulin to come back down to normal levels. Remember, insulin is in charge of getting the glucose in our body stored away. With LOTS of insulin still in the blood but glucose levels going DOWN, that insulin gets bored and needs more glucose to store! It asks the body for more sugar and that makes us feel hungry, even though we just ate. On a standard, higher-carb diet, this is really common and frustrating for many people. It can lead to losing energy during the day (like after lunch), overeating, and just generally never feeling full. Plus, consistently large blood sugar and insulin spikes can lead to insulin resistance—the body’s cells aren’t able to “see” the insulin that’s released, so it’s harder for the body to bring glucose into the cells. This can cause serious health problems, like weight gain, metabolic syndrome, and type 2 diabetes. But, by controlling blood sugar levels and our body’s insulin response, we can avoid the crash and cravings that tend to come after meals. A low carb diet is one way to find that control and even improve your relationship with food. More Weight Loss, Less Hunger—Some studies have shown that people on a low carb diet end up losing more weight (up to 2-3 times more) and lose it faster than those on a low fat diet! In a few studies, low fat dieters were given calorie restrictions while low carb dieters were told to just eat according to their hunger, but the low carb dieters still lost more weight because of their lower insulin and hunger levels. Because there’s less hunger on a low carb diet, it can also be easier to stick with. More Fat Loss—With less glucose and insulin in the body, it can burn more fat. In research trials, low carb diets have caused more overall fat loss than low fat diets, AND greater losses of visceral fat (the most harmful kind) from the abdominal cavity. Prevent & Manage Type 2 Diabetes—On a low carb diet, lower blood sugar levels means there’s no need for insulin. For those who have insulin resistance or are at risk for type 2 diabetes, a low carb diet can stop the spikes of blood sugar and insulin. For those living with type 2 diabetes, low carb can reduce or eliminate the need for blood sugar medications. Improve Cholesterol—The “good” cholesterol (HDL) helps remove cholesterol from the body, and higher HDL levels lowers our risk of heart disease. We can increase HDL levels by eating fats in our diet! A low carb diet can lead to significant increases in HDL, while a low fat diet might even cause HDL to go down. A low carb diet can also change LDL particles (“bad” cholesterol) from a dangerously small size to a lower-risk large size. Prevent or Treat Metabolic Syndrome—Basically, metabolic syndrome is a group of conditions—excess abdominal body fat, high fasting blood sugar levels, elevated triglycerides, high blood pressure, low HDL cholesterol—that, together, raise the risk of heart disease, stroke, and diabetes. Luckily, a low carb diet can improve ALL 5 conditions of metabolic syndrome! 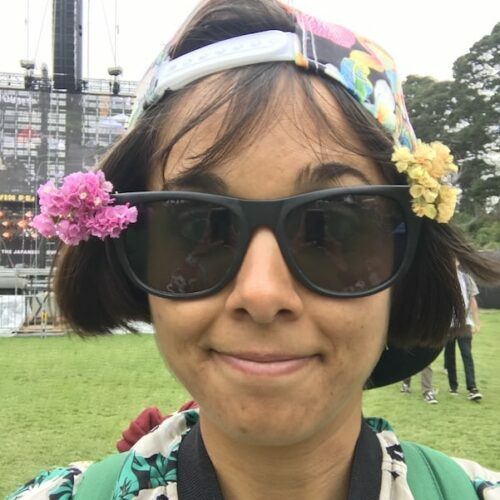 May Help Certain Brain Disorders—I talk about this a bit in my Keto 101 video: keto diets were first studied as a treatment for medication-resistant epilepsy. Ketogenic diets are still effective at reducing seizures, and researchers today are studying very low carb diets as potential treatments for other brain disorders, like Alzheimer’s and Parkinson’s disease. It’s important to know that low carb diets are most effective and have the greatest positive impact by sticking with it. Many people start a low carb diet to lose weight or improve their health, but then go back to eating as they once did after they’ve seen some progress made. This often leads to re-gaining weight that was lost or seeing old health problems reemerge. Low carb diets truly are most beneficial when they’re adopted as a low carb lifestyle. 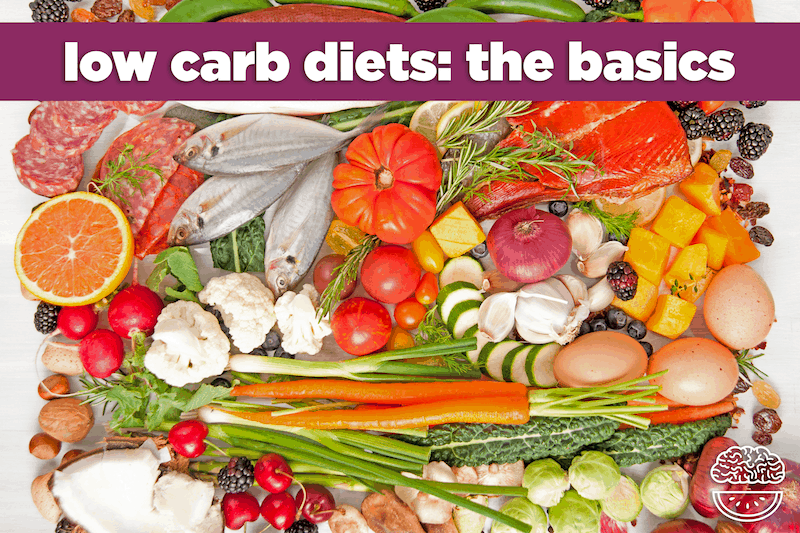 As we’ve discussed, there are many different types of low carb diets, each with a different approach. Some are higher in protein, some are higher in fat, but all are lower in carbs. It’s important to know that a low carb diet is not a “NO carb” diet—we all need some carbs, and “no carb” is actually be impossible. 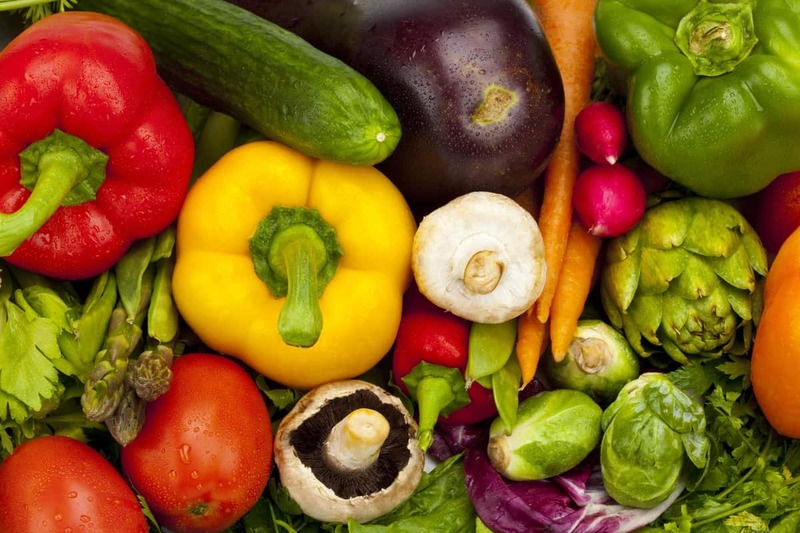 Even vegetables contain carbs, and low carb diets generally encourage eating plenty of veggies! It simply means setting limits on certain foods or the amounts of them eaten, in order to stay within a specific range of carbs/glycemic index on your low carb diet. To experience the benefits of a low carb diet (just like a low fat diet), it’s important to spend your carb budget wisely! Low carb vegetables—more on this later! These foods are below 5% carbs. Net carbs provided per 3.5 oz. (100g) serving. Also, lots of water drinking is encouraged on a low carb diet! But, there’s also room for coffee, tea, carbonated water, and plenty of other drinks—as long as they aren’t loaded with sugar (because sugar is a carb). How much of these foods you eat and how often will depend on you and the low carb diet that you choose to follow. For example, fruit isn’t allowed on the Atkins Diet. But, all of these are still all healthy food choices that can fit into other low carb diets! They’re simply higher carb foods that can add up quickly in your carb budget, so it’s important to monitor your intake. Sugar and high-fructose corn syrup—in items like candy, sweets, sodas, and even many fruit juices. They’re pure carbohydrates with no nutritional value that will cause major blood sugar spikes! Refined wheat & grain products—like breads, pastas, baked goods, and refined flours. They’re high in carbs and low in nutrients. Trans fats—anything containing hydrogenated oils or partially hydrogenated oils, like fried foods and baked goods. These are the fats that are linked to heart disease and other serious health problems, so we should avoid them at all costs! Artificial sweeteners—like Aspartame (Equal), Saccharin (Sweet ‘n Low), Sucralose (Splenda), Acesulfame Potassium. Even though they’re calorie- and carb-free, they can still lead to blood sugar spikes and cravings! Choose natural low-carb sweeteners, like stevia, erythritol, or fiber syrup. “Diet” or low-fat products—like many dairy products, cereals, and packaged foods. If they’re low in fat, they’re generally higher in carbs, and sugar or artificial sweeteners are often added to these products to compensate for the fat that’s removed. Processed foods—items that are packaged and made in a factory, like most snacks, cookies, cereals, and even lunch meats. These generally offer no nutritional value and are loaded with sugar or artificial additives. Every low carb diet is a bit different, so these guidelines can vary. But, many low carb diets are whole foods diets, aiming to eat wholesome REAL foods while minimizing or cutting out processed foods. Really, this is a solid strategy for anyone trying to live a healthier lifestyle and eat well! These foods are higher in carbs. Net carbs provided per 3.5 oz. (100g) serving. If you’re considering a low carb diet, there are SO many foods that can fit into a low carb lifestyle. Most meats, poultry, and fish have no carbs or very little—just be sure to choose grass-fed, pasture-raised, or wild-caught varieties so you’re eating the cleanest foods with the most nutrients. If your body can tolerate dairy, choose full-fat varieties and read the labels to check for added sugars in items like milk drinks or flavored yogurts. Nuts make great low carb snacks that are high in fat and protein. And, there are tons of fats and oils appropriate for low carb cooking and low in omega-6s, like olive oil, avocado oil, coconut oil, grass-fed butter, and ghee. But, when it comes to fruits and vegetables, there’s more variation in terms of carb content. Which low carb vegetables fit into your lifestyle? Are there low sugar fruits that you can also incorporate? It helps to know which foods are lower in carbs and which are higher in carbs, so you can make choices about what to eat. Check out these low carb vegetables and low carb fruits to give you some guidance! Most vegetables are low in calories and carbohydrates, so you can eat plenty of them without worrying much about your carb intake. And, of course, it never hurts to eat more veggies! The veggies listed below are great choices for a low carb lifestyle (and there are plenty more). For a serving of each vegetable, you’ll see the total carb content (all sugars +fiber), the fiber content, and the net carbs (only digestible sugars). Dietary fiber actually isn’t digested by the body—it moves through our system and helps other foods do the same. Because of this, some people on a low carb diet prefer to look at the net carb content when gauging their carb intake, while others look at the total carb content. It’s up to you how you approach total vs. net carbs! Starchy vegetables—like potatoes, sweet potatoes, corn, peas, beets, and some winter squash—are still healthy foods, they’re just higher in carbs and might push you over your carb limit. One large sweet potato can have over 30 grams of net carbs, and just one large potato can have almost 60 grams of net carbs! Veggies like these can be difficult to fit into a low carb diet. Fruits like watermelon and oranges are moderate in their sugar content, while fruits like bananas, apples, grapes, pineapple, and mangos can tend to be high in sugar. A medium ripe banana has over 20 grams of net carbs, and one mango can have over 30 grams of net carbs! The kinds of fruit with the most sugar are dried fruits. The drying process shrinks the fruit and concentrates the sugars, so there’s more sugar in a smaller portion. Fresh grapes have around 25 grams of net carbs per 1 cup, while 1 cup of raisins has over 100 grams of net carbs! It’s good to limit or monitor dried fruit intake on a low carb, especially because it can be easy to overeat. This information can be a good starting point for understanding low carb lifestyles, but there’s so much more to learn! Keep educating yourself so you can make informed decisions about your health. Before making any dietary changes, continue researching low carb diets and speak with your doctor about your health. Again, for more information about how low carb diets and ketosis work, check out my Keto 101 video! Mexican Lasagna! Easy, Low Carb, Low Calorie and Low Fat!